Did you know that Mount Teide’s shadow is the biggest shadow projected on the sea in the world? 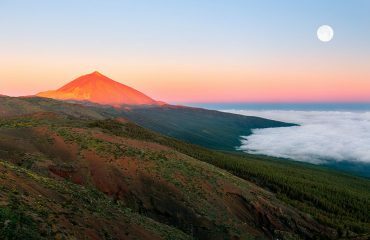 Mount Teide is the highest peak in Spain with 3718 m of altitude. We say peak instead of mountain because, as you know, Mount Teide is a volcano and not a normal mountain! There are plenty of other high peaks on earth that project shadows by the sunset, but none of them are so close to the sea. 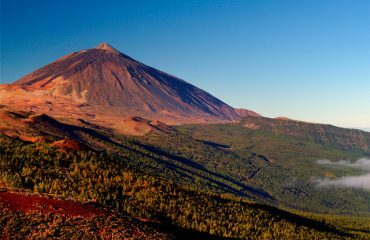 The condition of island, added to the proximity of the sea and the extreme inclination of Tenerife, makes the shadow that Volcano Teide projects by sunrise and sunset the biggest in the world. This marvellous effect can be contemplated from the peak of Mount Teide by dawn and twilight. His shadow travels slowly covering part of the sea and even setting into partial gloom the neighbour islands. 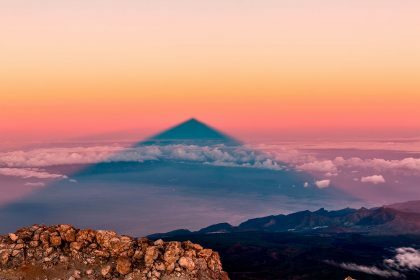 Another breathtaking event you can witness from Teide’s peak is the moon rising from within the clouds as the sun sets and the sea turns into a golden mirror. Have a look at the event in this video taken by Dr. Fritz Helmut Hemmerich. The shadowplay resulting from this phenomenon is also very interesting. Although Mount Teide’s peak is not perfectly steep, it appears that way in the shadows projection. Since Mount Teide is a volcano, its top has the form of a crater as big as 80m of diameter. 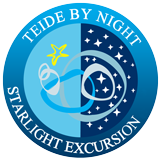 If you’re coming to enjoy your Teide by Night excursion with us, you will see that there are plenty of other shadowplays happening by the sunset in the Teide National Park! For example, those amazing silhouette pictures our clients take during the twilight. You will have plenty of nice locations to enjoy the sunset in Tenerife but our favourite one is, for sure, the southwestern side of Las Cañadas del Teide, where we drive you during our excursion. 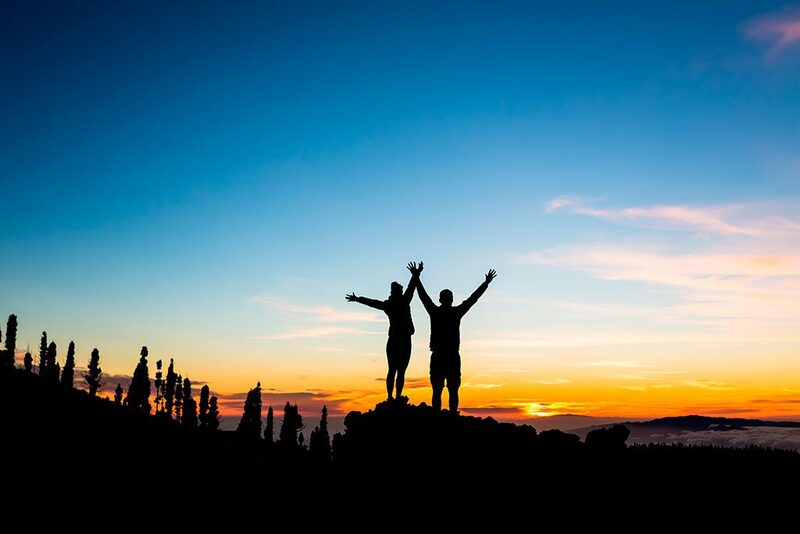 Being at 2000 m of altitude, you truly feel on top of the world! 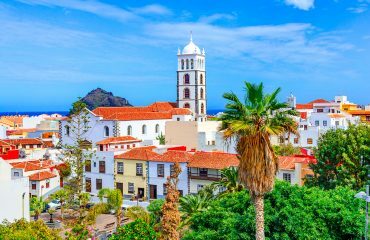 In addition, this location is perfect to watch the islands of La Palma and La Gomera emerging from the sea. To make this moment even more memorable, during Teide by Night we serve you cava or orange juice to have a toast while we enjoy the clouds moving below us and the sun dyeing the sky in orange tones as it sets.